Piercing the corporate veil — St. Augustine Law Group, P.A. Unless you've taken a business law course, you may not have heard this phrase before. "Piercing the corporate veil" is a legal phrase that encompasses decades worth of cases, statutes, and legal treatises related to getting past the protective shell of a corporation, LLC, or Limited Partnership. The primary goal when piercing the corporate veil is to get to the personal assets of the owners. This post is intended to be an overview of the concept. Future posts will dig deeper into the specific factors considered by Florida Courts. 1. Does the business entity exist solely for the benefit of its owners? You will hear this factor commonly described as the "Alter Ego" doctrine. In general, a business exists to conduct business. It will buy and sell widgets, serve customers, compensate employees, etc. However, if an entity exists solely for the purpose of serving the better interest of its owner, then the owner will more than likely open himself up to personal liability. While this concept will be explained in greater detail in a future post, all businesses exist to make money. Usually the owners benefit from this fact. However, If the owner(s) never opened a business bank account, never held meetings, or commingled funds from the business and personal accounts of the owners, then opposing counsel will make the argument that this "company" was merely the "Alter Ego" of its owner, and thus the owner(s) should be personally liable for an action of the corporation. 2. Was the corporation formed, or continued improperly? Believe it or not, there is "Proper" way to form a business. It isn't quite as easy as point and click. No matter what type of business entity you are forming, you have to be sure that you are forming it correctly. For example, if you filed all of your paperwork online with SunBiz, but they never issued shares, had written minutes, etc. you may open yourself up to personal liability for corporate actions. While it should go without saying, businesses formed for improper purposes (fraud, deceit, etc.) will always be found invalid, and the owner(s) will be held personally liable for the actions of the corporation. 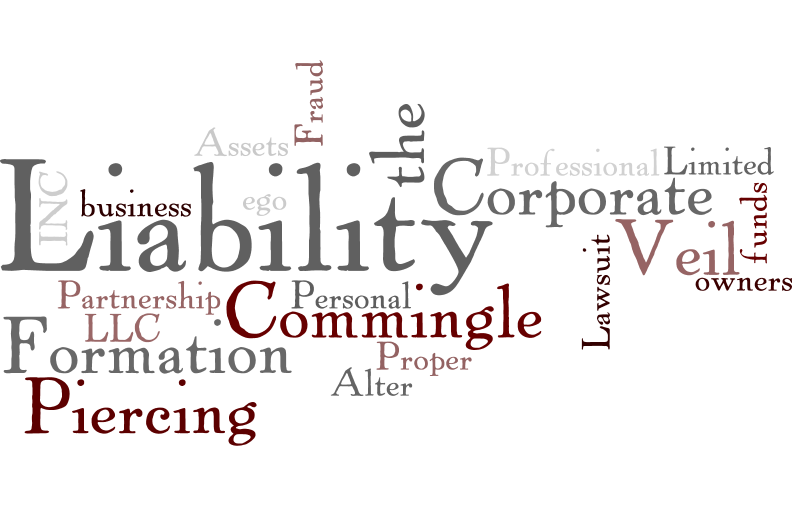 Avoiding personal liability is the primary purpose for using a business entity. Don't lose that essential benefit by making a silly mistake. Contact a lawyer, and make an investment in your future, and the future of your business.